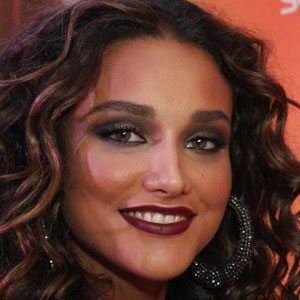 Most well known for her portrayal of Tessalia in the Portuguese-language television series Avenida Brasil, she is also notable for her work in the drama series Duas Caras, as well as for her recurring role on Viver a Vida. She made her screen acting debut in a short film titled Cerberus and went on to appear in several episodes of the telenovela Paraiso Tropical. Her cinematic credits include roles in Budapest (2009) and The Incredible Hulk (2008). She was born in Suzano, Brazil. After ending her marriage to Arthur Rangel, she became romantically involved with her Avenida Brasil castmate José Loreto. She and Brazilian model and actress Grazi Massafera were featured in a 2009 L'Oreal Paris advertising campaign.